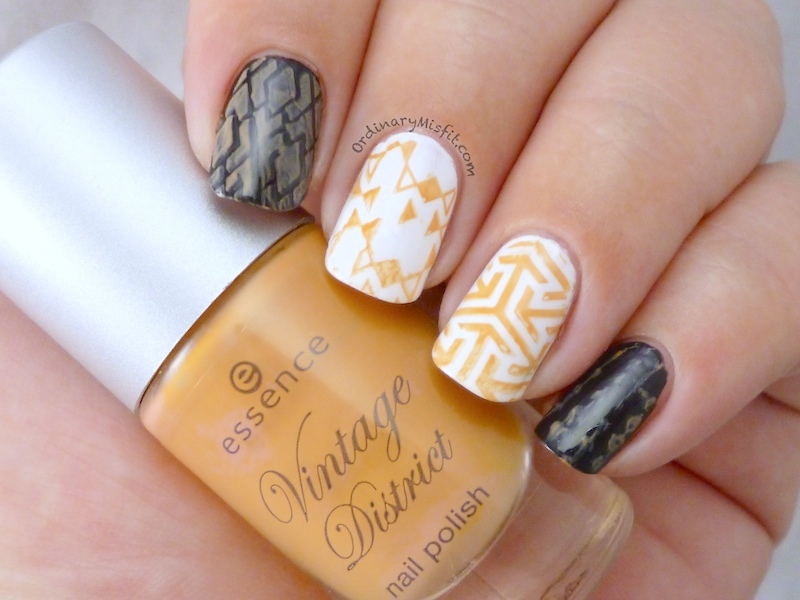 When I showed you the Essence – Vintage district polishes I knew I wanted to test them for their stamping abilities. I of course only had 3 of the 4 so Thea from Madness Nails was kind enough to test the 4th one for us. So here goes. Get arty stamps like a champ. It shows up really well on the black and the white and stamps well with both the thinner lined images and the bigger / thicker lined images. I did mess it up quite badly on my index and I was worried that I was going to have a bad stamping day. All in all, Get arty was a win for me. Isn’t that a beautiful colour? This one stamps really well. It doesn’t stand out on the black but it is still visible so that is good sign for me (especially with a darker colour) and it is gorgeous over the white. 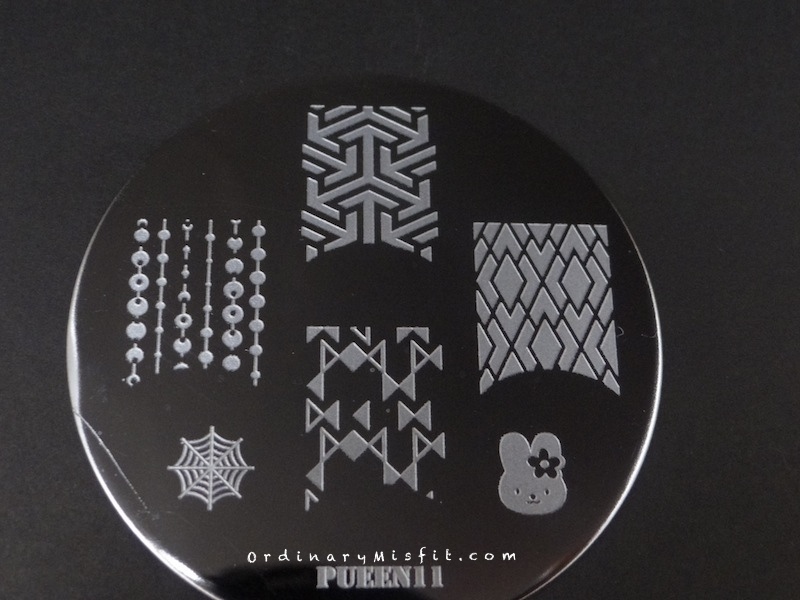 Stamps well with both the thin line and thicker images. Another win for Essence. Ok, so this doesn’t look as great as I expected it to but remember earlier I mentioned the bad stamping day? I suspect this is all me BUT I have to show what I get so here it is. It shows up really well on the white and a little meh on the black. No, it shows up I just think the colour looks a bit patchy and ‘muted’ over the black. It did stamp well in some areas and a little smudgy in others. Which is why I am wondering if it was me. See on my ring finger for example. On the middle to cuticle part the stamping looks crisp and clear but on the tip side it looks a bit smudged. So yeah, If I am ever in need of this shade to stamp with I will definitely give it another try. There you have it, thanks so much T! Thank you so much Chicara! I love the last one too 😉 Thanks for reading.